Turkey, the guarantor of the Syrian ceasefire alongside Russia and Iran, has been conducting a military operation in Afrin and nearby territory against the Kurdish fighters it considers to be linked to the PKK, which is considered to be a terrorist group by Ankara. The Turkish military has announced that one soldier had been killed and five others wounded in a rocket and mortar attack by militants while setting up observation points in Syria's Idlib. Turkish forces responded with retaliatory fire, the statement reads, while not specifying, who the militants behind the attack were. 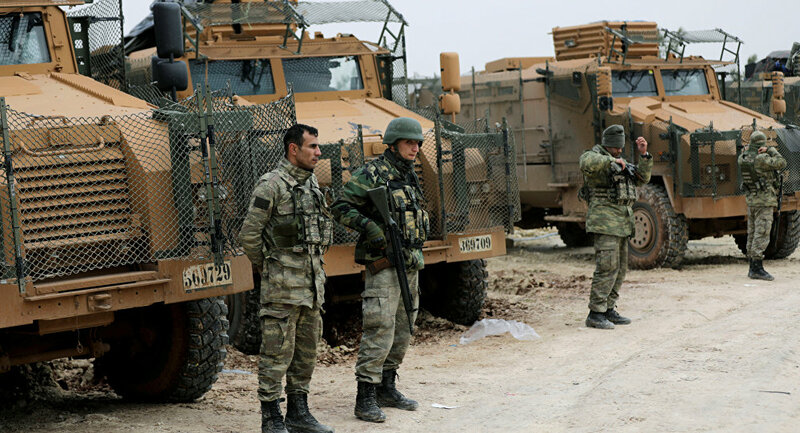 On Monday, the Turkish forces set up a military post southwest of the Syrian city of Aleppo as part of an agreement with Russia and Iran on monitoring compliance to the ceasefire regime. The agreement was signed during the Astana talks and stipulated the establishment of four de-escalation zones in Syria, namely, in Idlib and parts of the neighboring Latakia, Hama, and Aleppo provinces; in the north of the central Homs province; in Eastern Ghouta near Damascus and in certain parts of the country's southern Daraa and Quneitra provinces.